Equipment Rental London | Home | Kensal Rental Service Ltd. Looking for Equipment Parts / Accessories? See what our service team can do for you! You have a job to do. But to get it done right, you need the right equipment. For more than 50 years, Kensal Rental Service Ltd. has been providing tool and equipment rental to London and the surrounding areas. Whether you need an air compressor, lawn equipment, lifts, power tools or anything else from our vast inventory, Kensal Rental Service Ltd. has you covered. We offer competitive rental rates on everything in our inventory, with time ranging from 2 hours to a week. To further benefit our customers, we also provide tool and equipment delivery throughout the area! If you’re ready to get started on a project, but don’t have the tools or equipment you need, call Kensal Rental Service Ltd. today or stop by! Here at Kensal Rental Service Ltd., we have decades of experience working with equipment of all types. 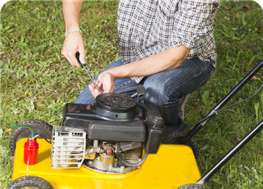 So that means in addition to the wide variety of equipment and tools we rent, Kensal Rental Service Ltd. also provides repairs and service to most air cooled small engines and lawn and garden equipment. 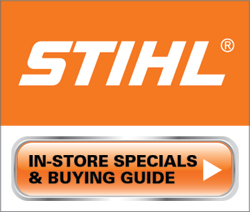 In fact, we are an authorized service dealer for many well-known brands like STIHL®, Toro® and more! 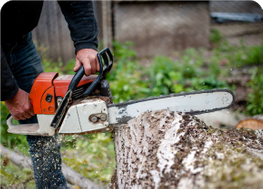 Need a new blade for your lawn care equipment? 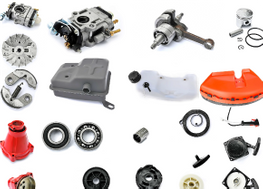 Maybe you’re rebuilding your mower’s engine and need parts. Whatever the case may be, Kensal Rental Service Ltd. is your resource for equipment parts in London and surrounding areas. We are an authorized dealer for several well-known brands and can find what you need to get your equipment up-and-running. Make sure to have the model and serial number handy so you can easily find what you’re looking for! Contact us today for more information.